A: In December, my father received news from the doctor that he had weeks to live. The prostate cancer that had been managed for several years had misbehaved and migrated to his liver. It’s a lot to process. 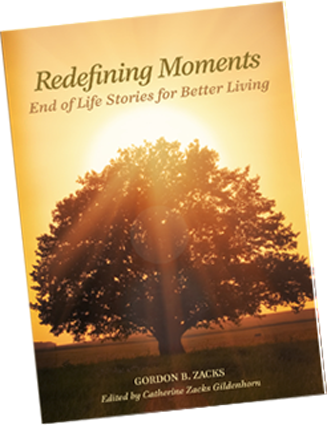 He viewed the end of life as an opportunity to celebrate life and continue. He had always lived purposefully,and lovingly, and this was an extension of that. His first book, Defining Moments, about leadership, spawned leadership societies and became a cult classic. He had collaborators on that [book]. We’re trying to enlarge our attitudes. The end of life is as much a stage in life as birth. You create positivity if you can get the negativity out of the conversation. At every stage, we focus on living. That’s the universal message of this book. There’s something there for everyone. A: How important it is to say thank you to people who have really made a difference in your life. To express love, and leave nothing left unsaid. To tell your kids “I love you” every night. To be open to experiencing your connections. With my mom, we also hosted a celebration of life event…My mom had pancreatic cancer and she passed in 2012. The night before the celebration, she took a turn for the worse; she went to the hospital and she never came out. We had 100 people who had flown to Florida. We rigged up a video link so she could experience the event. Her sister wore a long dress, and came to the hospital. Then we all came to the hospital after the event, over the next day or two…. A: So far it’s wonderful, but it’s only been out since July. I’m my own spokesperson and PR agent. I’m waiting until some of the book fairs, [and] this summer I filmed a guest appearance with Deepak Chopra….My goal is to start a conversation. The book is seed material for the website. 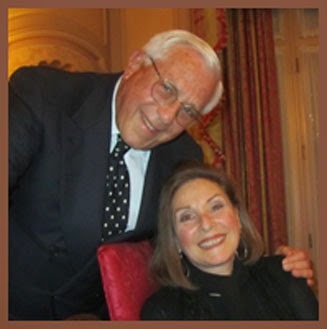 Catherine Zacks Gildenhorn will be participating in the Lessans Family Annual Book Festival at the JCC of Greater Washington, which runs from November 6-16, 2014. For an earlier version of this Q&A, please click here.